I love summer, even despite the Phoenix heat, because summer to me means time for vacations and creating those lifelong memories that bond families. One fun way to keep up the excitement for your upcoming vacation is by counting down to the big day! I’m all about hanging up countdowns, checklists, and to-dos right where it’s easy to see everyday and remind me of what I’m working towards. In this case, I took these adorable free summer destination printables and turned them into these unique vacation countdown ideas! First things first for vacation planning, is narrowing your list of amazing destinations to just one (or a couple that are close in proximity). Once you’ve settled on your vacation spot, the rest of the planning is all downhill from there. Our favorite destinations for family vacations are the trips we’ve taken to California; Orlando, Florida; and Mexico! There are so many amazing places to visit, but those tend to be great options with kids of all ages and they’re close enough to be inexpensive. East coast families can opt for Florida while west coast families can pick California. 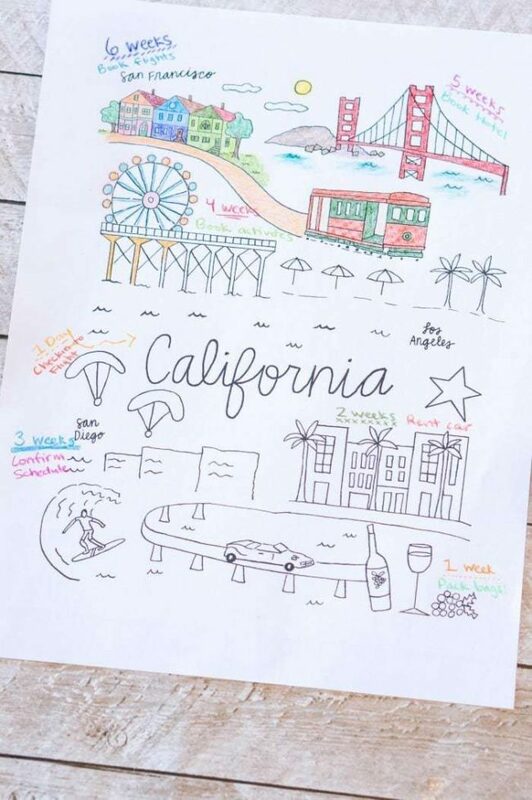 Your destination is set in stone, find or create a cute coloring page to use for your travel countdown. I used this free printable set illustrated by Evelyn Henson, Staples Summer Coloring Book. and 7 general summer themes to fill-in your own summer plans! When you’ve picked out your favorite printable (or two or three) just print out the pages you’d like on regular printer paper or cardstock. Now, you’ll want to hang up your trip countdown somewhere you’ll see it daily. That could be an office space, the front of your fridge, in your bathroom, or wherever it makes the most sense for your family. Of course, your tasks and checklist may be completely different then my ideas. Breaking down the responsibilities throughout the week will keep up that excitement for your trip as well! 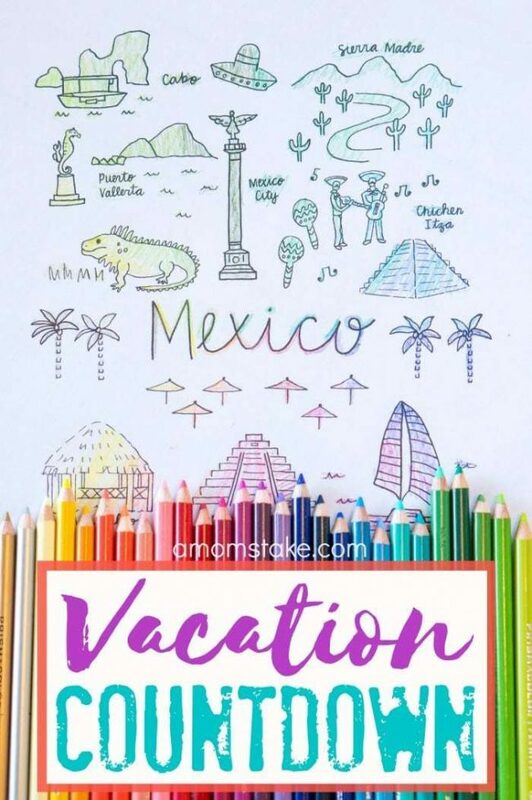 Finally, take a little bit of time each day or each week to color in your vacation countdown printable to show your progress and how much time has elapsed. When you’re filling in your chart, turn to Prismacolor! 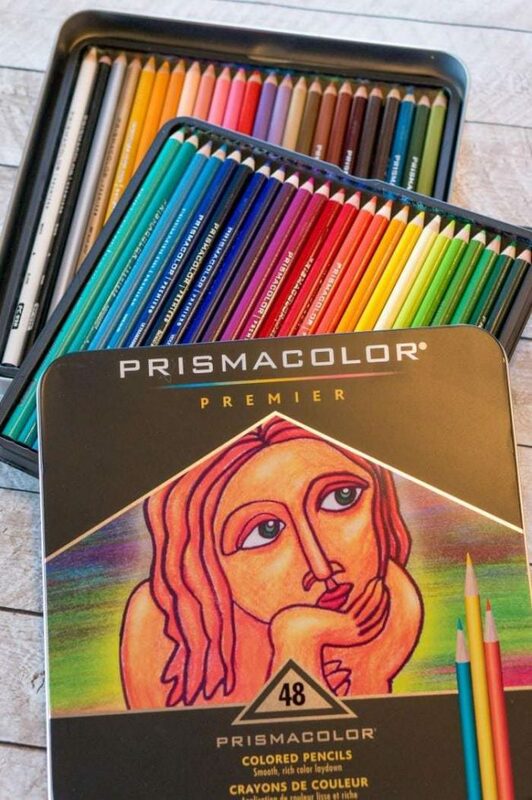 They offer a premium line of art products including colored pencils, watercolor pencils, and the tools you’ll need to make beautiful creations, or simply unwind with a fun coloring page. This countdown will be such a beautiful, visual, way to see how much time you have left until your fun family trip you have been planning and saving for. 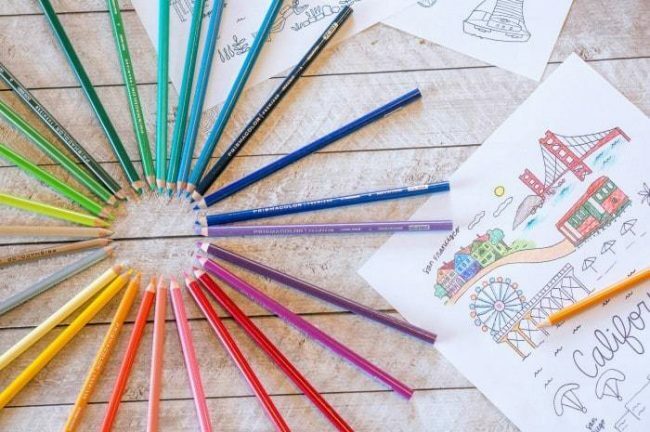 Coloring is a wonderful way to spend a little time in the evening after a stressful day tending to the kids or spent at work that can help you de-stress and relax. 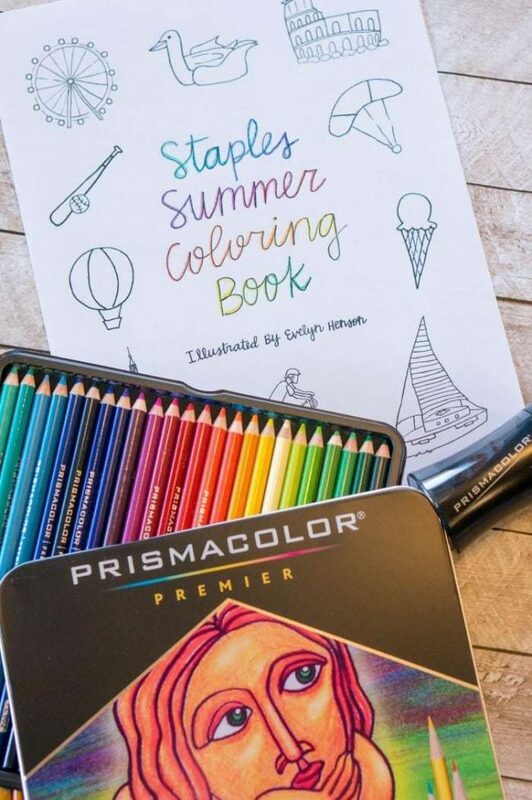 You can score 20% off all regular-priced Prismacolor products at Staples now through 7/31/2016 with the coupon code 51563. Where are your summer travels taking you? This is such a fun idea! Thanks for linking up with our Merry Monday party! I love this idea and I’ve always loved to colour. Hopefully I’ll be taking a vacation in the near future and will be able to use this. These are so great. My oldest loves coloring and having a nice set of pencils is a must. I love the idea of coloring it a bit each week until it’s fully finished and it’s time to go. Cute idea from Staples! Coloring is lots of fun, I like how its not just for kids anymore! I’ve never made a chart like this before, but it is a good idea. I love these ideas!! I know my kids would love to do a countdown like this, these coloring books look great. Coloring is so relaxing! 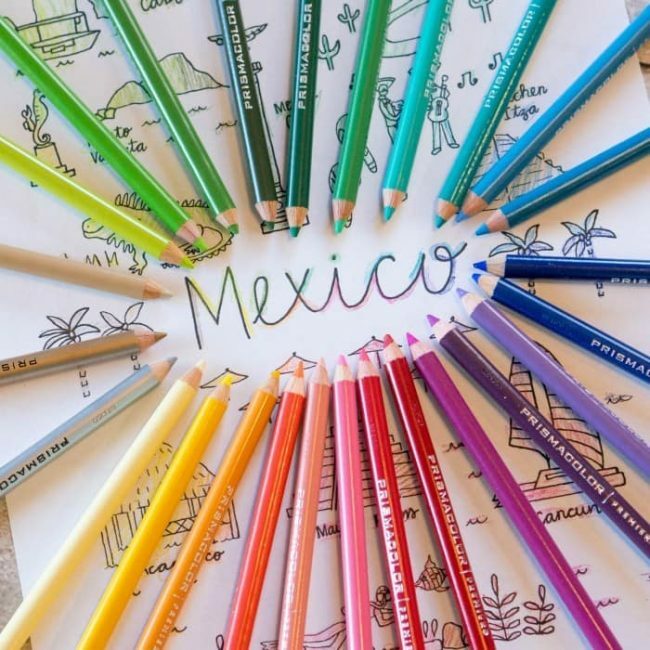 I love traveling and these coloring pages would be fun to do! I love the idea of this countdown chart. We usually countdown from just a calendar. This is such a good idea though. I may have to do this too. My kids get so excited to go away on trips. I like the idea of a countdown chart. They always have fun picking out things to do. I always get the kids involved in planning our trips. It is a great way to get them excited. We would love to go to Mexico. What a great way to get ready for a trip. We have one trip left this Summer so I will be using these. Brilliant ideas! The perfect way to get the whole family involved and excited about vacations. I love the countdown idea! I think I am as excited as the kids to get to a vacation and this would help me stay on track of what I need to get done! This is such a cool idea. It’s a great way to keep the kids entertained on a long road trip. Plus it is educational. This is such a cool idea! Next time we go on a trip I will have to print one of these out! I love these ideas because they involve coloring and drawing. I love to doodle and color when I have downtime. Planning for a vacation & then counting down for a vacation are so much fun! This year, our travels are taking us to North Carolina. PS. Love Prismacolors! What a cute idea! I like that you also include a weekly checklist as you count down…good reminders! I have done countdowns to holidays with my kids, but not for trips. Will have to do this–fun for everyone! This is a great idea! I’ve never done a countdown chart or anything when we are getting ready to travel. This is a great way to space things out, so that it’s not overwhelming. That is a fun idea! We make a countdown chart and keep it in the kitchen when we are going away. The kids love it.